Kliph Nesteroff: I've been going through some old Florida newspapers and I read some things about you that I never knew... but then again I sometimes have problems distinguishing between what is fact and what is the product of a publicity department. Woody Woodbury: Even I have that problem. 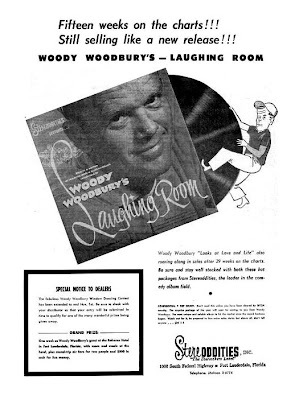 Kliph Nesteroff: According to a newspaper article from 1949, Warner Brothers was interested in having you star in a series of film shorts in the same vein as George O'Hanlon's Behind the Eight Ball comedies. Woody Woodbury: Yes. It was Warner Brothers. I remember that. It never came to fruition, but they were interested in that because of the Westinghouse corporation. I had done some shows for Westinghouse executives down here in Florida. I think one was in Miami ... Westinghouse were the ones who initially wanted me to do this thing and they were in contact with Warner. But then they had some kind of a shake up at Westinghouse and the people who wanted me to do it were shuffled to some other division. So the whole thing just sort of died on the vine. 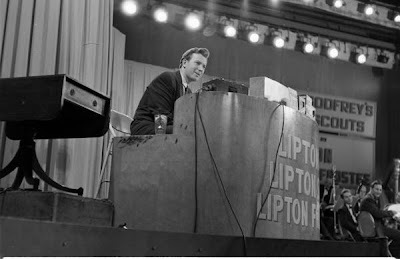 Kliph Nesteroff: I had read, according to another newspaper article, that you had pressed some of your songs and comedic ditties on 78. Woody Woodbury: Gee, I don't recall that. Kliph Nesteroff: A regional thing maybe - songs that you sold at your shows? Woody Woodbury: Well, I used to write all kinds of parodies. I'm not going to say I was adept, but it came easy. You can't write parodies of songs today because the lyrics are all the same. "You do good for me, baby. You do good for me, baby. You do good for me, baby." You can't write a parody of that. But in the old days, songs had lyrics that made sense. They had a beginning, a middle and an end. Kliph Nesteroff: In the late forties and early fifties you were a mainstay at Jack Goldman's Miami Clover Club. Woody Woodbury: Oh, no question. 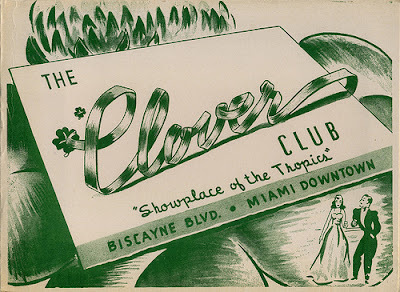 The Clover Club in those days was like Ciro's in Hollywood or The Stork Club in New York. It was the class place. I left Jacksonville and went down there and worked for Jack Goldman for about nine years. He was a great boss, wonderful guy. He had a falling out with his wife; beautiful Italian girl much younger than he [and] that was the time I broke away from there. When you're close to people like that, they want to embroil you in their [personal affairs]. I didn't want any part of it. I'm not saying they came after me to side with one or the other, but it was just an uncomfortable thing. 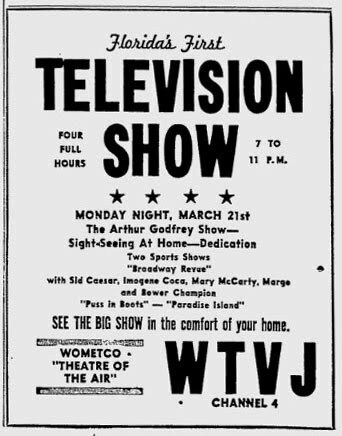 The Vagabonds were a huge act on account of Arthur Godfrey having put them on television. They worked at The Clover Club. I worked with them on and off for seven years. They were a tremendous hit down there. They left when all this stuff started coming down. Jack had left. He didn't get rid of the club, but he now had an interest in Las Vegas. He was one of the builders of the Riviera. He went out there with some people and proceeded to get himself fleeced. Not from gambling, but he just got in with the wrong crowd. Anyhow, I left The Clover Club and I went with The Vagabonds. They opened up their own place; a real plush place. 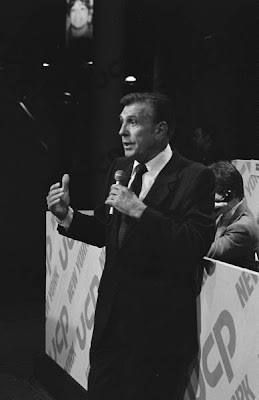 They named the lounge after Arthur Godfrey and I worked The Arthur Godfrey Lounge until I went out to Vegas. My career has been so scattered in every which way. Don Fedderson came along, Ralph Edwards came along and I really had a great career. Kliph Nesteroff: I want to ask you about some of the people that were regulars at The Clover Club. There was a fellow named Buddy Satan. Woody Woodbury: Oh, yes. I remember him well. He was a genius on the piano. I remember Little Jack Little telling Buddy Satan and Tony Lopez, the orchestra leader at The Clover Club, about a group called The Ross Sisters. 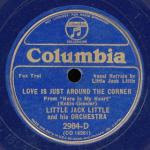 Years ago, Little Jack Little, long before your time, was a hot radio prospect. He played the piano and they called him Little Jack Little because he was about the size of a jockey, but he could really play. 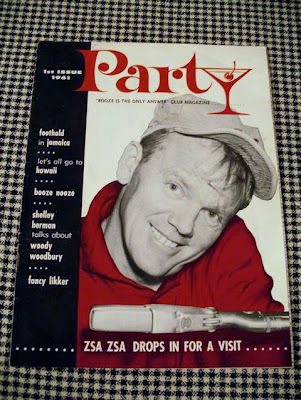 In his retiring days he would do these club dates - which is how I met him. I remember him telling us about The Ross Sisters and how they had been fired from every job they had because they were a wartime [act] and they were a trio. The Andrews Sisters had a lock on everything and [The Ross Sisters] were much prettier than The Andrews Sisters. I mean, The Andrews Sisters were great and I knew a couple of them, but they didn't [come close] to what these Ross Sisters could do ... these girls were sensational. But they couldn't get a job! The powers that be had a lock, this is what Little Jack Little told me, and I thought [it was] a terrible thing. "The Ross Sisters," he said, "These girls will stun you with what they do." Long since forgotten. Buddy Satan was there. He had a beard and he tried to make himself look like Satan or our idea of Satan. He had a goatee and a moustache and boy, could he play that piano. Kliph Nesteroff: Did people get offended that he was billing himself as - or trying to look like - Satan? Woody Woodbury: No. I really admired Buddy Satan. He played his own fiddle. I got along with him great, although he did not get along with many people. I know that for a fact. 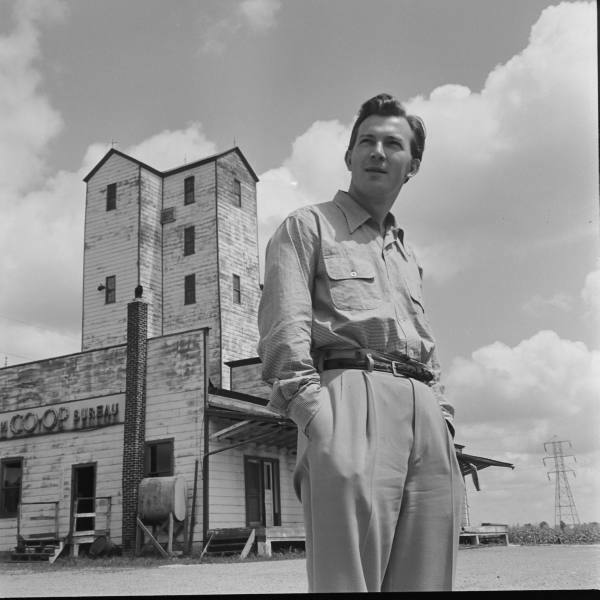 He was very opinionated and sometimes people resented him, what he said and what he stood for. Joe Harnell was a piano player down there at The Clover Club. He was just getting started. Joe Harnell was a genius and he and Buddy Satan hit it off well. I'll never forget when Joe Harnell came in looking for a job and someone sent him to Jack Goldman. The first thing Goldman said to him was, "Can you read the music?" (laughs) Here's a guy who studied at Juliard, was a teacher at Juliard and was a genius at the piano. "Can you read music?" Kliph Nesteroff: I have heard that The Vagabonds started a water-skiing school around that time. Woody Woodbury: I don't know if they started it, but many a time I went with them. We went there a lot with Eleanor Peterson, Rose Marie, Dean Martin, Jerry Lewis, Buddy Lester, Jan Murray ... we would water ski and The Vagabonds may have started a school. Water-skiing became very popular. Al Schwartz was a teacher at Silver Springs and he would come down and mix and mingle with all the show business personalities that hung around in their swimming trunks. Al taught a lot of them how to ski and all this kind of stuff. The Vagabonds were there all the time and I was too. You know, we were in our twenties. Young kids. Woody Woodbury: Could be. 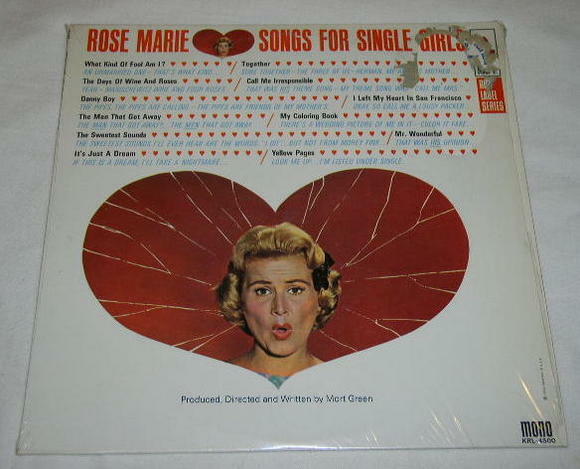 She's still alive, Rose Marie. She's a great pal of mine. If you happen to talk to her, don't ever tell her that I was just out there and failed to contact her. I was out there in such a fast turnaround, I didn't contact anybody. Kliph Nesteroff: I actually can't find contact info for her. Woody Woodbury: I can give it to you. I can tell you her number off the top of my head. I'll send her a little letter saying that you'd like to do an interview. She's a great lady, a great gal. Kliph Nesteroff: That would be great. 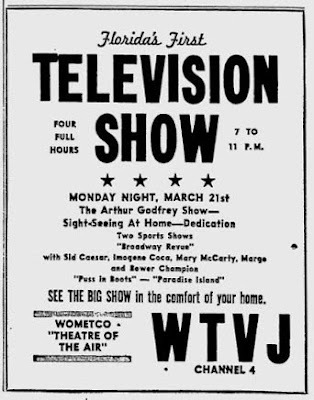 August 1950, you had your own regional television show on WTVJ? Woody Woodbury: That's right. I still have the contract. Mitch Wolfson, who became a legend in television along with Dr. [Frank] Stanton up at CBS, signed the contract himself. It was a fifteen minute show. I can't recall if I did it every day at about three o'clock or whether I did it three times a week. But it's funny you mention that because Rose Marie is the person who told me. She was working at The Clover Club with The Vagabonds and Jan Murray. 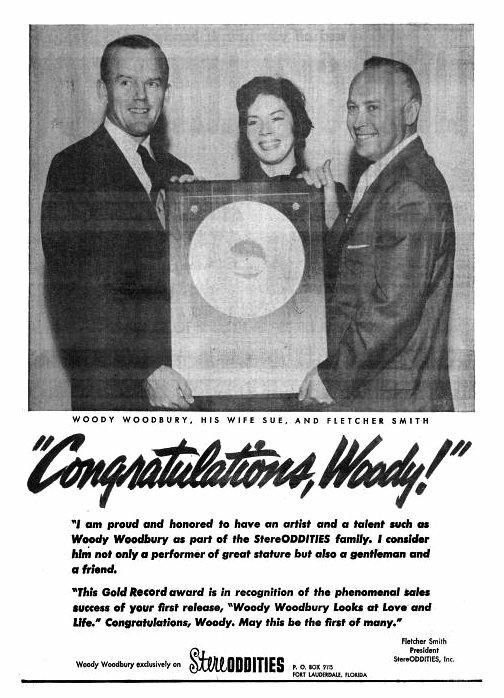 She said, "Woody, if you ever have the chance to get into television - get in - because it's going to be the coming thing." In those days, people couldn't even afford television sets. They were so new they'd have television sets in the window of the department store and people would gather on the sidewalk and watch television through the window. That's the way it used to be. I don't know if you're old enough to remember that far back, but it was that way in almost every city in the world. There are photographs of people standing in front of a window at a department store downtown watching a television show. Rose said to me, "If you ever get a chance - do that." She was proved right. Kliph Nesteroff: So what was the show that you did? What did it consist of? 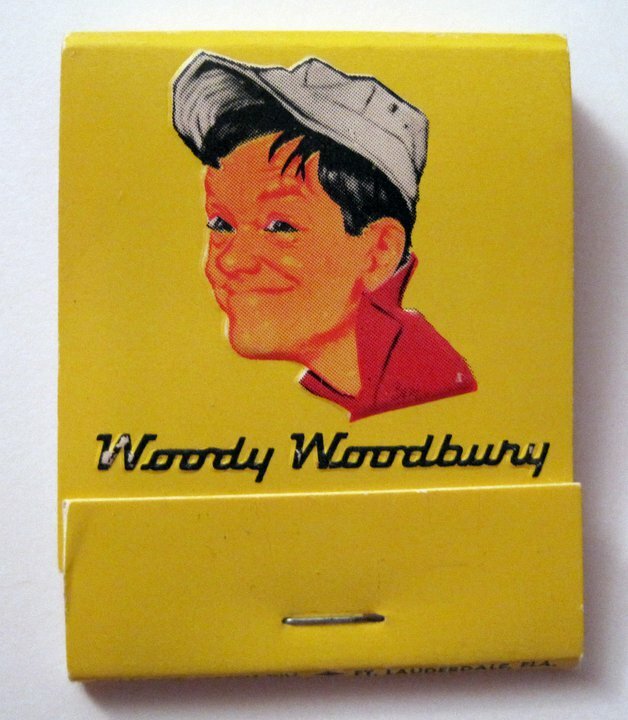 Woody Woodbury: It was just a novelty show. I'd play the piano. I had every person I could possibly think of that had marquee value on. I didn't know much about television. I would walk off camera and I didn't know what the hell I was doing. They only had one camera. 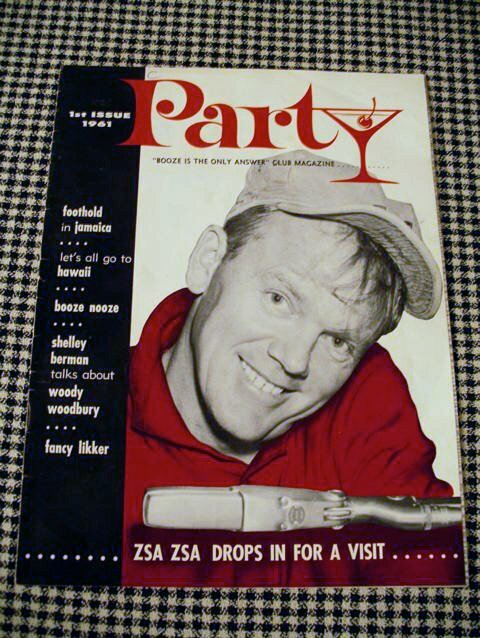 I had Andy Gustafson who was the football coach of the Miami Hurricanes ... and he was a pretty good drinker. Andy would do things on that television show, and audiences loved him. He would get into the football position like a lineman in the three-point stance and he'd turn around with his rear end to the camera and he'd say, "How do you like this shot?" It was live television. Tape hadn't been invented. It was all done in fun. You couldn't say "hell" or "damn" and the studio was the size of a garage. I did that show for, I don't know how long, but I think the contract read "perpetuating." There would be no end to it. Mitch Wolfson took a liking to me and the guy who turned out to be the legend from WTVJ was Ralph Rennick. He was the news guy and he was my announcer. He was just starting out. 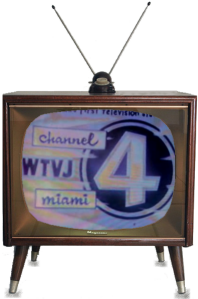 He was a tall, gangly guy and he got to be the Walter Cronkite of South Florida, he had that kind of a reputation. Wonderful guy. Anyway, Mitch signed me to do this show. I think at the same time I was emceeing... 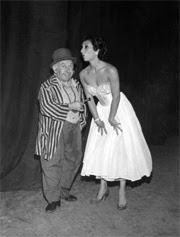 I was the last emcee for legitimate vaudeville in the United States. That was at The Olympia Theater in Miami. That was the last vaudeville of any stature. One of the last people I did the show with was George O'Hanlon who was the guy [in] Behind the Eightball. 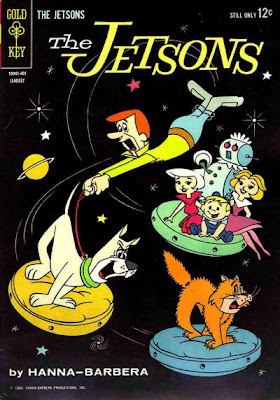 Kliph Nesteroff: And went on to be the voice of George Jetson. Woody Woodbury: That's right. 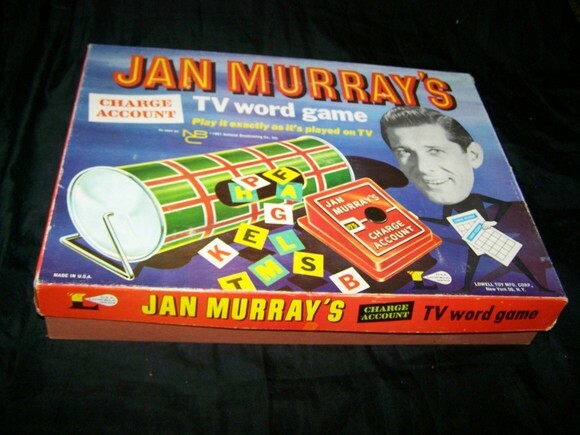 He was in The Jetsons, he sure was. His wife's name was Margie. They both became good friends of mine. He also co-wrote the motion picture For Those Who Think Young the movie I did for the Sinatra company. Kliph Nesteroff: He did a few screenplays. 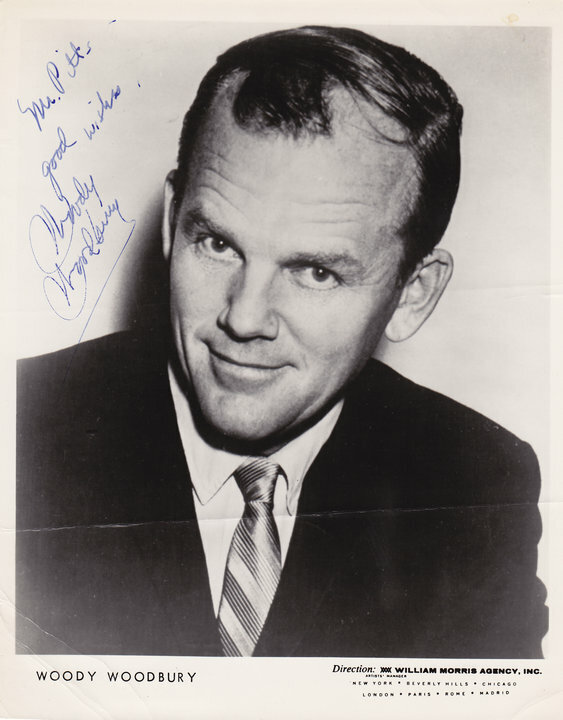 I think he was actually a screenwriter before he ever did those film shorts - and a wonderful radio actor. 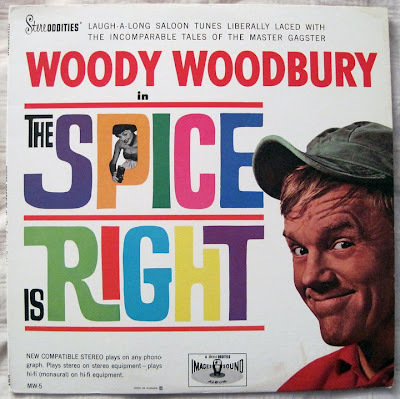 Woody Woodbury: Yes, he had a good voice and a good sense of timing. He had a tremendous sense of humor. Kliph Nesteroff: I have a note here that says you left for Vegas in 1951 and performed at The Cortez Hotel. Woody Woodbury: It was the El Cortez. 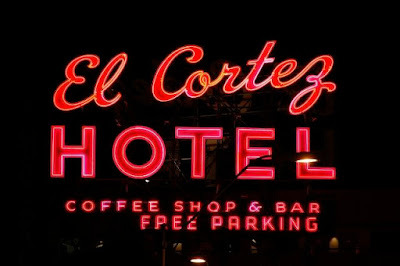 El Cortez Hotel. I think it was 1950, it may have been 1951. That was the place to work - otherwise I wouldn't have gone out there, because The Clover Club was such a plush place. The Chamber of Commerce were young guys from different cities and they had a convention in Miami. The Las Vegas and Reno [delegates] saw me at The Clover Club. Jimmy Cashman and Dave McCoy were the two top guys running the contingent. They wanted me to come out to Las Vegas. Jimmy Cashman, his father was the Cadillac dealer out there. It was Cashman Cadillac in Nevada. I went out to Nevada at the behest of these guys and it was packed. I hit so good. There was no strip in Las Vegas at all. It was called the L.A. Highway. There was nothing out there. Beldon [Katleman] had a place called El Rancho Vegas. 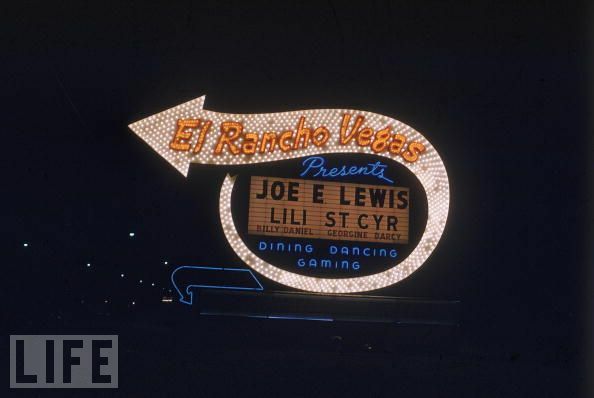 He had the comedian Joe E. Lewis out there and Ted Fio Rito's orchestra and that was it. That was ... the beginning of The Strip - just barely out of downtown. When I worked in Vegas, The Strip was two-lanes and after about four or five miles it was a dirt road. This is after World War Two! 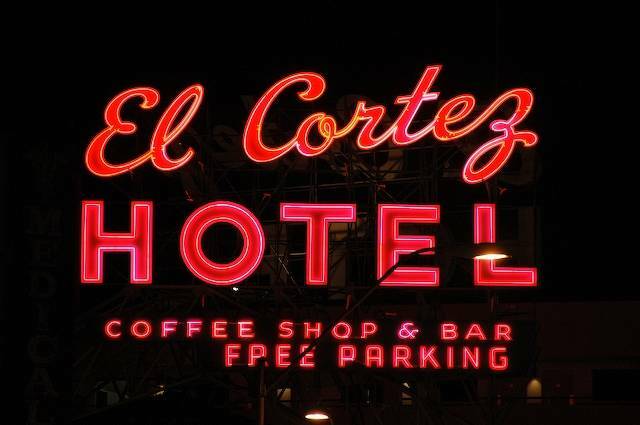 The El Cortez was the place to go and the place was just packed every night. Just incredible. I fooled around with the audience; never had any set routine. I'm a stand-up comic, but I never know what I'm going to say when I walk out onstage ... the audience is really my show. I don't do a set routine. I don't do the same jokes night after night - it would kill me to do that. The audience to me is the show - and they love it - and I think that's why I work all the time. Kliph Nesteroff: Keeps it fresh if you're not doing the same thing every night. You don't have to act like a phony. Woody Woodbury: That's really the truth. I mean, I love Corbett Monica and guys like that. They were good at what they did, but I don't know how on earth they could do the same thing night after night after night. Kliph Nesteroff: So you did El Cortez. Did you become a regular or was that just a one shot? Woody Woodbury: No ... I went out there about three or four times from 1950 to 1952. I was out there when the Korean War broke out in the June of 1950. I was a Marine. While I was out there I got a letter forwarded to me from Miami to go back into the Marine Core because I was a pilot. They recalled all the fighter pilots. I was in a panic because here I was with a contract ... I sent a telegram to the Marine Core headquarters in Washington requesting that I be sent to a California locale because I was in Nevada with most of my belongings ... they agreed and they sent me to El Toro, a big Marine base south of Los Angeles near Santa Anna. So that's where I reported. That's how that came out about. Kliph Nesteroff: You mentioned Joe E. Lewis. Did you know him well? Woody Woodbury: Oh, yes. 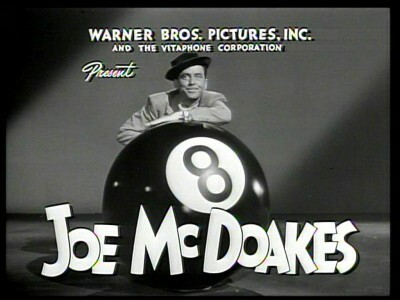 When I would replace Steve Allen on The Steve Allen Show in Los Angeles... in fact, I've got a few eight by ten pictures of Joe E. and myself. We became very good friends and he was a funny, funny guy. I was with the William Morris Agency at that time. 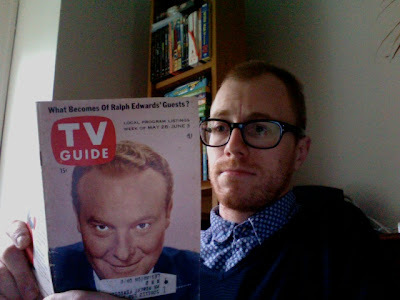 I would substitute for Steve Allen when Allen took time off. Joe Wolfson would call me to come out to Los Angeles. I'd go out there and I had guys on that I had met. Joe E. Lewis was one of them. Of course, you know, Los Angeles is a mecca for motion picture people and they [all] wanted that exposure as much as they could get. 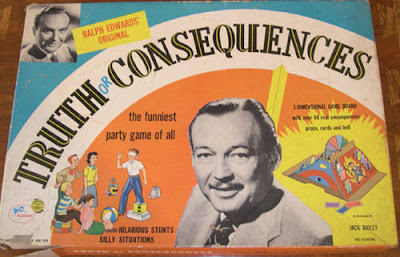 I had Ralph Edwards on and Vivian Blaine and stars of that era. 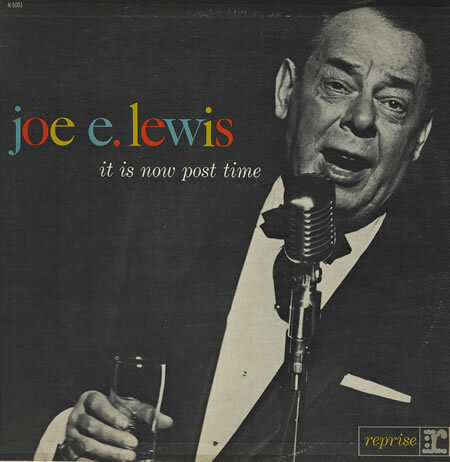 Joe E. Lewis - I set a precedent. You never have the same guest on two nights in a row. First of all, they thought he was going to be too blue for television. I had worked with him and I knew that he could be clean. He was a very, very funny guy. I put him on the show and they were fearful of him, but he was just a smash and the audience went into hysterics. We put him on the next night again and he was just as funny. He did different stuff. He had routines as long as your arm. 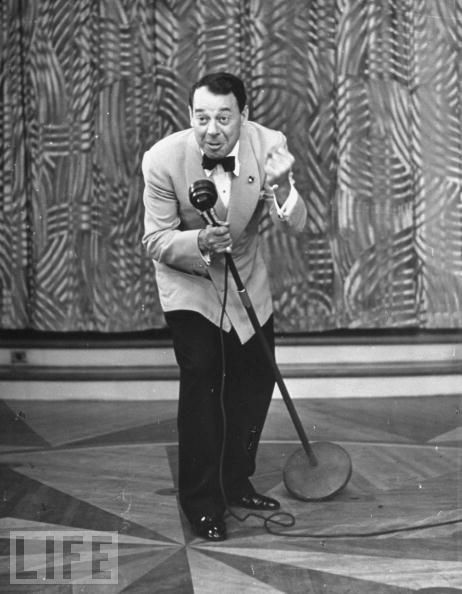 A plethora of funny stuff from Joe E. Lewis. He was a great comedian. Kliph Nesteroff: He's quite legendary as a nightclub comic, but he didn't do a great deal of television. 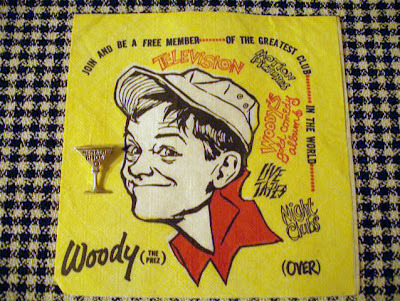 Woody Woodbury: Well, Joe E. Lewis was a big drinker. He really was a big drinker. I think - it isn't for me to say - but in my own personal opinion it was because they thought he might ... because they didn't have a six second delay in those days. If you did TV, you did it live. I think the TV people were so scared of the Hays office and the powers ... that was the reason. He was not often invited on television, but he did those two shows with me two nights running. The audience loved him and, boy, they got a lot of mail. He was a funny guy. Kliph Nesteroff: Most photos I see of him he seems to be holding a glass of scotch in one hand and a cigarette in the other. Woody Woodbury: That's about right. I think what I will do is I'll print off a couple of these photos of him and I'll send it to you with the Rose Marie stuff. Kliph Nesteroff: That would be wonderful. In 1961 Ralph Edwards had you tape a television pilot called The Human Thing to Do. Woody Woodbury: Yes. The Human Thing To Do. The pilot film was well-written and it was hilarious. I don't want to get into personalities, but there was a guy who put the kibosh on it. He did so because he had somebody else he wanted to host the show. Ralph wanted me to do the show, but this guy had some kind of power over Ralph Edwards... I won't even mention his name. Anyhow, the other guy did the pilot and it was a flop. I had done it first and it was funny. For The Human Thing to Do they would create situations. They would find a married couple that had been married two weeks. They'd come on the show and then I would say to the new husband, "We know you love your wife very much and you've only been married two weeks. Would you ever look at another woman?" He'd say, "Of course not." He wouldn't know this, but we would have filmed him walking across a street - like Candid Camera. The Ralph Edwards Company had stationed a fashion model, a beautiful girl in a short skirt, standing on the corner like she was waiting for a bus or a ride [and we showed him looking at her]. "Is That The Human Thing to Do?" That was the crux of the [show]. All kinds of situations like that. It was funny and it should have been turned into a big show, Kliph. Everybody was crazy about it. It was all done in good taste ... I can still picture that. I don't know whatever happened to the film of it. 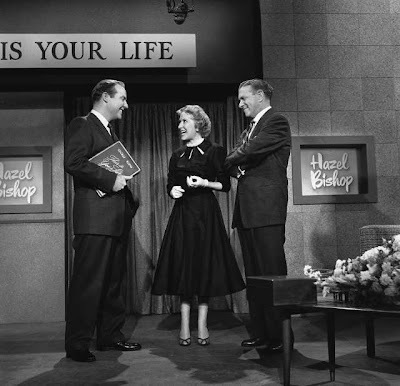 Kliph Nesteroff: Would that have been your first encounter with Ralph Edwards? 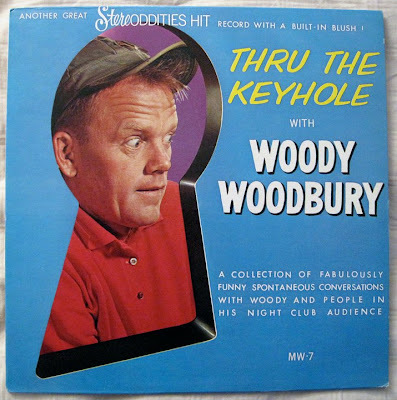 Woody Woodbury: Yes, but he had come down to Fort Lauderdale [because] he had heard about me. He flew down and was in the audience and I didn't even know because there were two or three hundred people in there. He came up to me afterward and said, "What you do with this audience, I've never seen anything like it." That was the beginning of my relationship with Ralph. Kliph Nesteroff: Probably one of the few television shows of his that didn't make it to the air. Woody Woodbury: Yes and another show, I forget. But he was very, very big in television in those days and he took a liking to me and I to him. He knew everybody in motion pictures and he knew everybody in television and had a wonderful reputation. I got along well with him. There's nobody in television that I can think of that I didn't get along with. That doesn't make me any kind of a neat guy or anything else, but there was always so much fault-finding by some people. I don't know. I never could see that. Kliph Nesteroff: I wanted to ask you about some of the other comedian-run nightclubs. The Vagabonds had their club. Alan Gale had his own club. And eventually you had your own club too - The Chart Room. Woody Woodbury: Yes, that was in the Bahama Hotel. That's where I made the first of my records. When I left The Vagabonds, Sonny Werblin who was head of MCA, before [my] William Morris days, wanted me to go to Fort Lauderdale [instead] of Miami. I said, "Are you crazy? Lauderdale is a gasoline stop. They've got an Italian restaurant and a gasoline station. There's nothing there!" Sonny prevailed. He said, "You go up there. That's going to be the coming place." Boy, Sonny was right. I went up there and everything big, all the big breaks that happened for me, happened when I went to Fort Lauderdale. I was lucky in Miami because I was working the top clubs and business was tremendous until Jack and his wife had their rift. 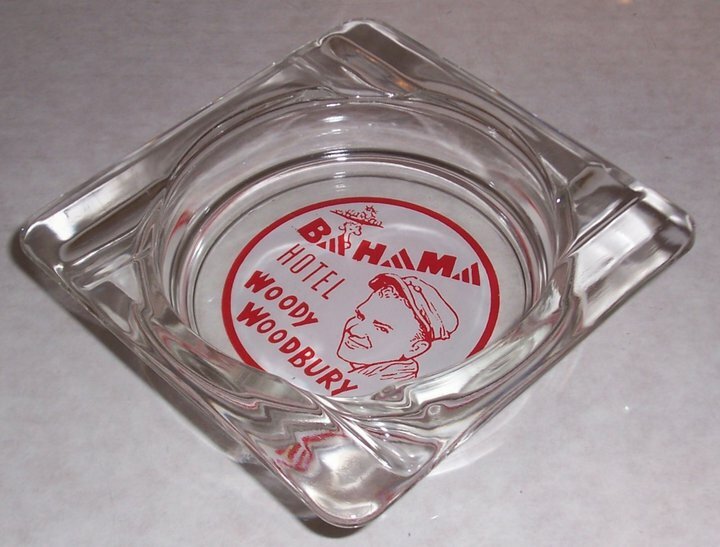 I wound up going to the Bahama [Hotel] and it was a perfect room for me for the way I worked. A guy named Kenny Bachelor built the hotel and I just worked there as an employee. 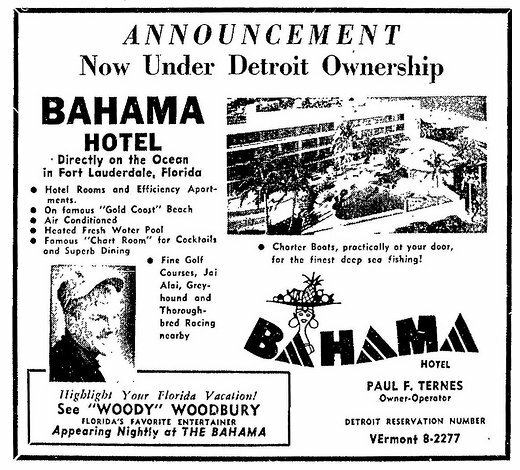 Two guys came from Cleveland, Scane Bowler and Bill Snider, and they bought the hotel, but they didn't want to buy it unless I stayed there. Later, Scane made me a partner in the hotel. That's how I wound up owning it. Kliph Nesteroff: So, what was the venue itself like? You said it was the perfect venue for you. 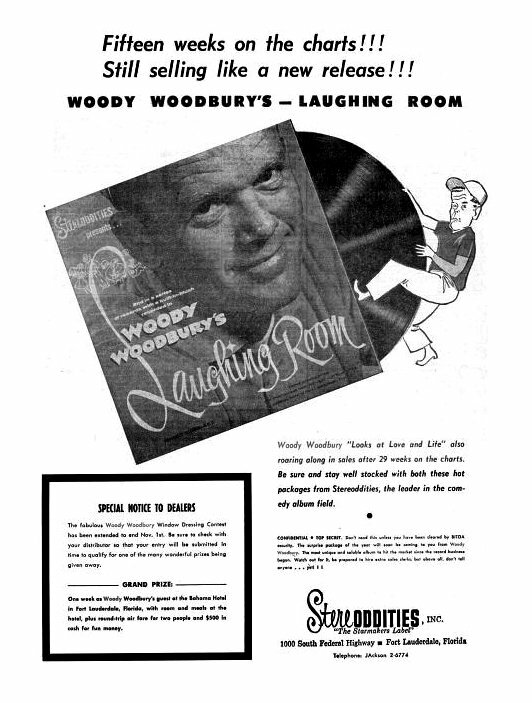 Woody Woodbury: It was a cabaret and a supper club. The room seated about two hundred people. Small tables; people complained about dining there because there wasn't enough room. There's no money in food. The money is in whiskey. Anyhow, as much as they complained, people came in and they ate there ... The room was just right and it took off. It became the headquarters for comedy down there. Everyone came down. The people that came in to that room out of Hollywood... it was stunning. I don't know where to start telling you. Cary Grant would come in there. Bob Six who started Continental Airlines would come in there. Zsa Zsa Gabor had been there. Ricky Nelson would come in and bring his gang. George Hamilton, Bill Bixby, Burt Reynolds, everybody came in that place. Kliph Nesteroff: And somebody who got his start down there in that area was a young Don Rickles. Woody Woodbury: Oh, yes, Don. He was at Murray Franklin's in the old Roney Plaza Hotel. 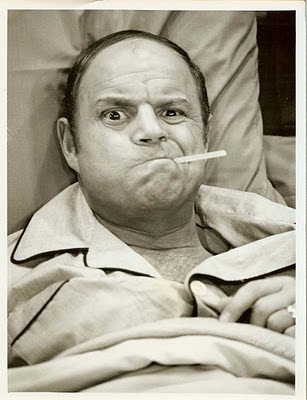 Don Rickles. I was working at The Clover Club before I went to Fort Lauderdale when Rickles was at Murray Franklin's around 19th and Collins Avenue down South Beach. Rickles was hilarious. He was a Jewish comic and he was so funny, but it was as if only people in show business knew where he was coming from. A lot of Jewish people lived down there and came and saw him and a lot of them wanted to come up over the bar and kill him. They didn't understand. It was like Foster Brooks later. Foster Brooks can thank Dennis James for his career. Dennis knew what Foster Brooks was trying to do, but Foster couldn't find the right place to do it. 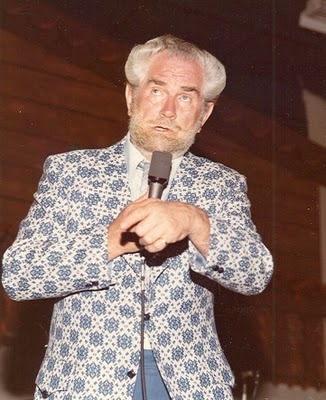 So, Dennis was going to a golf tournament in North Carolina and persuaded them to invite Foster Brooks. Foster went there and did his drunk routine and they thought he was really drunk. They were yelling, "Get him off the stage!" But soon everyone understood ... from then on Foster Brooks was sailing. Dennis James was the one who brought him there. Kliph Nesteroff: Dennis James had a lot of power back then. He was on every TV show. 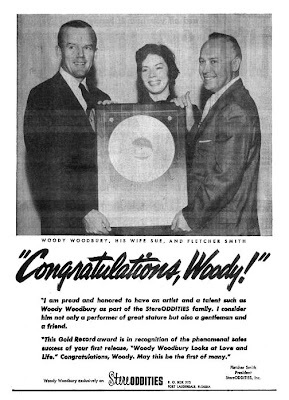 Woody Woodbury: And he was such a nice guy and his widow Mickey still lives in Palm Springs. He was probably the best friend I had for a long time. Kliph Nesteroff: It's interesting, when looking through old TV shows, the amount of times Dennis James pops up. He hosted so many shows. Woody Woodbury: Yes, he was just terrific. When cassettes were popular, he did an introduction for me on one of my promo cassettes. Dennis James was very, very close to Herb Shriner. Herb Shriner was the Indiana hillbilly. Herb's son, whom I'm very close to, his name is Will Shriner. He directed Will and Grace, Everybody Loves Raymond and a couple other big shows. He lives down here and he's a very talented guy. That's a guy you should do a history of or a story on. He's done a lot in his young years. He's a generation or two younger than me. He's really a great kid. Kliph Nesteroff: Herb Shriner is terribly underrated today. He was hilarious. Woody Woodbury: Yes. A very, very funny guy. He had his own show. Old Gold Cigarettes were the sponsor. Kliph Nesteroff: That was Woody Allen's first job in show business - writing for The Herb Shriner Show. Woody Woodbury: Oh, could be. Woody Allen is still, to me, hilarious. One of my heroes and always has been. Always will be. 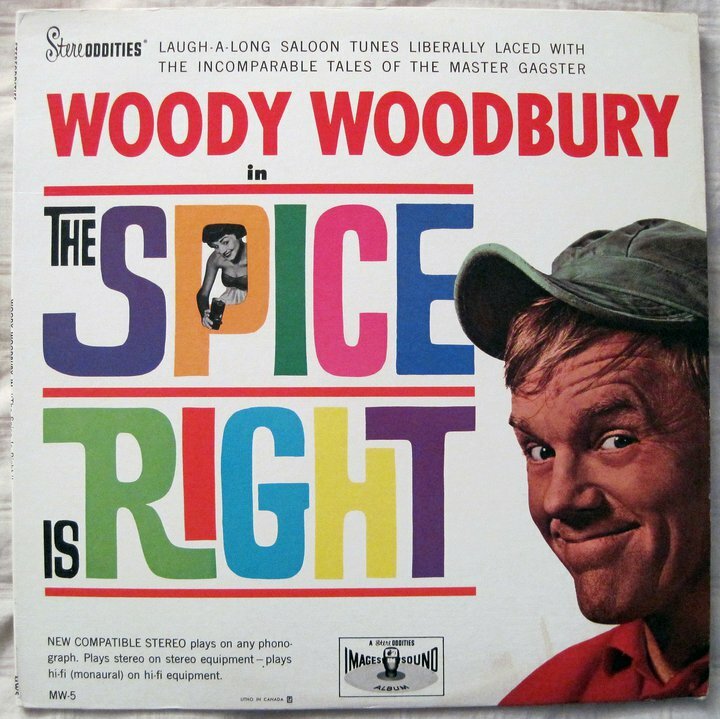 Of course, his first name is Woody. That helps. Kliph Nesteroff: I want to ask you about a few other nightclubs of that era. Ben Martin's Riot Room. Do you remember this place? Woody Woodbury: Ben Martin. He had The Riviera up in Fort Lee. Ben Martin I don't recall having a place down here in Miami or Lauderdale. Kliph Nesteroff: I think the Riot Room was in Miami. 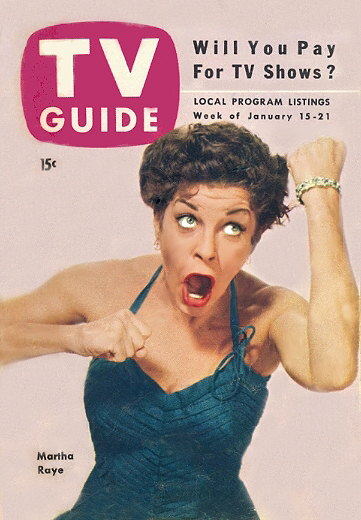 How about Martha Raye's 5 O'Clock Club? Woody Woodbury: Oh, yes. That was a great place. A great place. She had a late license on the beach. She was one of the first places on the beach where they had live entertainment. On the outset, when I first got to Miami, they allowed no live entertainment on Miami Beach. It was the rule and nobody knew why. All they could have was Muzak; canned music. I think they allowed a piano player during dinner hour in some of the plush hotels. It was the law. They were so wealthy down there that, I don't know, they were above having live entertainment. All the live entertainment was in Miami [as opposed to Miami Beach, a separate municipality] on Biscayne Boulevard. Mama Leone's and some great after hour joints. Miami used to be like Jacksonville; a bus stop joint. They had dice games going and stuff like that, all on the QT. They had The Palm Club, not far from the Clover Club, and there was a crap game going on. It was like walking into a showroom in Vegas. Jacksonville, you couldn't believe the gambling there in the old days. Every place was gambling. They would do anything to get the people down to Florida. Kliph Nesteroff: Who Do You Trust you were taping in New York, right? Woody Woodbury: Oh, yes at a little theater around Times Square. Kliph Nesteroff: Did you ever pop into Toots Shore's? Woody Woodbury: Yes, we lived there. Toots Shore's was right next door. Eddie [McMahon] and Carson would meet at Toots Shore's almost every day at noon. Carson was just getting started with The Tonight Show and I had an announcer, Bill Nimmo, who was pretty good with the Chivas Regal or whatever the heck he drank. They were carefree days, Kliph, Jesus. You know, we did the shows and had a lot of laughs. In 1967 my girl group, The Cake, were taping The Woody Woodbury Show in LA as a paid act. I was wearing a tshirt with the American flag on it and was told by Woody and Co it was offensive and they would not photograph me as we sang. My managers protested about the no footage of me and unless I changed my shirt, I was told I would not be photographed. I didn't change my shirt and the entire scene turned very ugly. I would like to know what Mr Woodbury's thoughts are about this all these years later!! I was 17 yrs old then and never forgot this abuse! Fascinating, so would I! I own "A Slice of Cake" and also the "You Are What You Eat" soundtrack. A pleasure to hear from you, Eleanor.